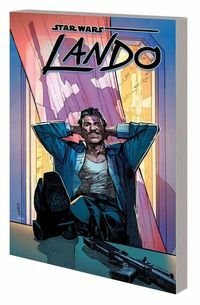 You know him, you love him - now, join him for his biggest caper ever as master of charm Lando Calrissian steps into his very own high-stakes adventure! Before he joined the rebellion, before he ran Cloud City, Lando made his way in the galaxy getting by on some swindles, some swagger and a smile. With the loyal Lobot at his side, Lando has a plan to steal a very valuable ship. Legal Notice: Entire contents trademarked (® or TM) and copyrighted (©) 1986-2019 by Things From Another World, Inc. and respective copyright and trademark holders. All rights reserved. Page rendered at 2019-04-20 13:26:28 in 0.259 seconds.